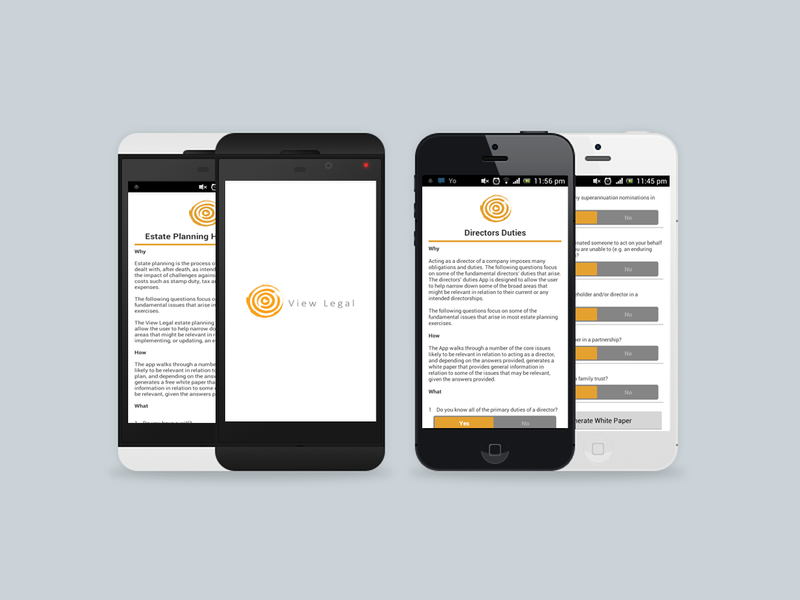 Based on feedback from advisers, View Legal has recently developed and launched two new iPhone and Android apps. Acting as a director of a company imposes many obligations and duties. The directors’ duties app is designed to allow the user to help narrow down some of the broad areas that might be relevant in relation to their current or any intended directorships. Depending on the answers provided, the app generates a free white paper that sets out general information about numerous aspects of the duties directors have. The estate planning app is designed to allow the user to help narrow down some of the broad areas that might be relevant in relation to implementing, or updating, an estate plan. Again, depending on the answers provided, the app generates a free white paper that sets out general information about a range of estate planning strategies.